Set in an alternative universe, six warring factions are engaged in a deadly power struggle to be the only surviving group. 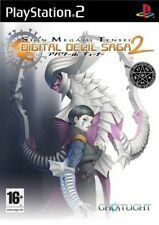 Have you got the appetite for Digital Devil Saga?. In battle, strategically switch between human and demon forms to exploit enemies' weaknesses. 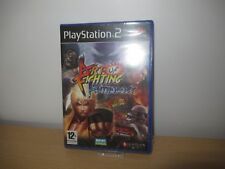 FIRE PRO WRESTLING RETURNS (PS2) PAL VERSION VERY RARE PLAYSTATION 2. 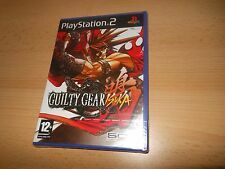 Italian version plays on UK PS2 Condition is Very Good. Dispatched with Royal Mail 1st Class Large Letter. Like the incredible Grand Theft Auto, this controversial title lets you go anywhere and do anything. There are four districts, each with over 30 missions to complete. Lily-livered souls need not apply. There are two kinds of people in this world. One kind sneers almost poisonously at Sega's hardware demise. Graphically stronger than the 1998 coin-op original, Soul Calibur spawned from the successful loins of Soul Edge, one of Namco's only 3D outings of the era that wasn't laced with the sort of plagiarism Sega's developers were beginning to tire of. Title: EA Sports Fight Night Round 3. Platform: Sony Playstation 2. Format: PAL. Getting In Touch. Details: Overall in good condition. Includes original case, instruction manual and disc. Flat rates differ depending on your locality. 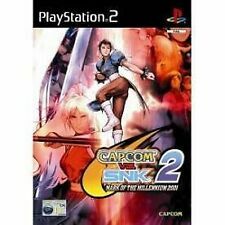 PS2 Street Fighter Alpha Anthology UK Pal, New and Sony Factory Sealed. Condition is New. Dispatched with Royal Mail 1st Class Large Letter. Tekken Tag Tournament - PS2 Playstation 2. Tekken 4 -- Platinum Edition (Sony PlayStation 2, 2003) - European Version. Condition is Good. Dispatched with Royal Mail 1st Class Large Letter. Case: good. Disc: a few light scratches. Book: present. Once bought item will be posted next working day via a Royal Mail service free of charge. Thanks for looking, please check out my other items for sale. Tekken Tag Tournament (PS2) Platinum Game Game disc has some light scratches and is fully tested and working. Overall condition is good. Thanks for looking and please check out my other items - more toys, games, DVDs and collectables for sale. Artist:Tekken 4. All of our paper waste is recycled within the UK and turned into corrugated cardboard. General Interest. Your item will be previously owned but still in great condition. The disc will play perfectly without interruption and the case, inlay notes and sleeve may show limited signs of wear. A second hand Virtua Fighter Evolution PS2 game that comes in the original case and is in good condition. Booklet not included. Stand face to face with some of the greatest Virtua Fighter gamers from the birthplace of the series. The entire city stands before you in your quest to become the number one Virtua Fighter and emerge victorious. Two modes: Revolution and Chaos. Add to Favourites. Used = An item that has previously been used. Condition = Used. Also available: Official Strategy Guide. The Case / Cover / Manual is in average condition with signs of use. 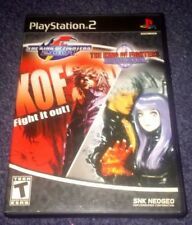 Final Fight Streetwise - PS2 Playstation 2. Street Fighter Ex3 - PS2 Playstation 2. Platform : PlayStation2, Playstation 2. Condition : Good. List Price (MSRP) : 39.99. 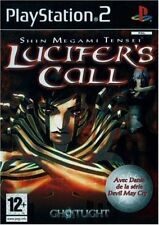 Release Date : 2003-11-14. Case: very good. Disc: little to no scratches. Book: present. Shut Your Mouth. Manufacturers part number : SLES 51283-P. See your item in the photo we have provided. This item is Used as in the photograph. Boxed : No. Title: K-1 World GP. Platform: Sony Playstation 2. Format: PAL. Details: Includes original case, instruction manual and disc. Getting In Touch. 〉 Bundles & Job Lots. _gsrx_vers_841 (GS 7.0.16 (841)). 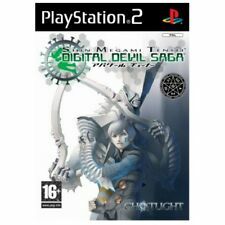 Excellent Working order - Fully Tested on Sony Playstation 2 Console. -Five fighting styles to choose from: World Warriors, Champion Edition, Turbo, Super and Super Turbo. LIKE NEW = UNMARKED DISC INCLUDES MANUAL. GOOD = WILL HAVE MARKS FROM GENERAL USE. ACCEPTABLE = WILL HAVE SIGNIFICANT MARKS BUT STILL WORKS. CONFLICT VIETNAM. SEE PIC FOR EXACT ITEM/S YOU WILL RECEIVE. PACIFIC WARRIORS 2. COMMANDOS STRIKE FORCE. SEEK AND DESTROY. Tekken Tag Tournament Greatest Hits (Sony PlayStation 2, 2002)Tested & Complete! 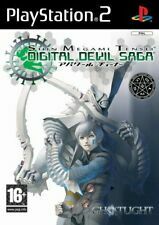 NARUTO SHIPPUDEN ULTIMATE NINJA 5 - PlayStation 2 PS2 ~PAL~ Brand New & Sealed!